Gary Gallagher has created an interesting addition to our knowledge in The Wilderness Campaign. Instead of giving a step-by-step, movement-by-movement description of the two-day battle, he gives us eight different aspects of the campaign and the battle itself from the view of eight expert Civil War historians. Brooks D Simpson begins the book with a look at Grant, the strategist, and northern opinions. In March 1864 when he was appointed Lt. General over all federal armies, he knew that he must not only understand his opponent on the battlefield, but also northern sentiment, the press, and Washington politics. Though not a brilliant tactician, Grant’s genius was the ability to balance these factors without being controlled by any of them. He understood the consequences of his decisions, but kept the larger goal of victory and an end to the war ever before him. The northern press was responsible for forming and reflecting much of the peoples’ sentiments, but it learned to reign in its expectations for a quick victory from Grant. Gary Gallagher discusses southern hopes and morale in the Army of Northern Virginia in the spring of 1864. Rather than being discouraged by losses in 1863 at Gettysburg, Chattanooga, and Vicksburg and the loss of Stonewall Jackson, the soldiers and civilians were optimistic. Yes, there were still shortages of food and supplies, but southern victories at Olustee, FL, Okolona, MS, Ft Pillow, TN, the failure of the Red river campaign, successes in NC and at Richmond kept spirits high. The sense was that 1864 would be a critical year, a turning point in the war. Soldiers continued to have confidence in their cause, their leaders, and especially Gen. Robert E. Lee. John J. Hennessy gives us a view of the morale of the Army of the Potomac in the months leading up to the May campaign. The soldiers were well rested, fed, and supplied, due in large part to the excellent administrative work of army chief of staff Gen. A. A. Humphreys. Morale was high as was confidence in themselves, as evidenced in letters home. He examines the various generals in the army of the Potomac, starting with Meade and his rise to prominence. Meade had proven his moral courage to the soldiers on Nov. 30, 1863 by calling off a costly assault at Mine Run. The good work of the Christian Commission, revivals in the camps, a sense of unity among the army itself, and the replacement of political officers all prepared the army for the campaign ahead. 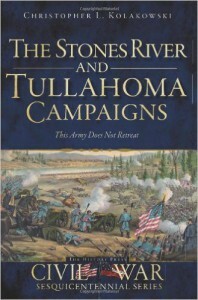 Gordon C. Rhea, who wrote an excellent four-book series on this campaign, takes up the topic of the Union cavalry in the Wilderness. When Grant took command, he saw a problem in the leadership of the cavalry in the Army of the Potomac. 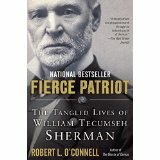 He brought Phil Sheridan to lead the cavalry corps and Sheridan brought James Wilson to lead one of his divisions while reorganizing most of the command. Neither of these men had much cavalry experience and their learning curve would begin in the Wilderness. An example of the coming problems and clash of personalities was Sheridan’s arguments with Meade, his commander, over the use of cavalry as pickets for the infantry and then the demand that it be totally separate. When Grant gave this permission, Sheridan road off on a raid to find and fight Confederate cavalry, leaving Grant virtually blind to Lee’s movements for three weeks. Peter S Carmichael addresses the performance of Richard Ewell and A.P. Hill in this campaign. He argues that while their reputations had been sullied after Gettysburg, for mistakes had been made, they both performed very well in the Wilderness, especially on the 1st day. If anything, the orders and directions that they got from Lee were sometimes confusing and contradictory. They each did their best to carry them out. Carmichael raises the questions of why on May 3rd when the Army of the Potomac was obviously preparing for a move that Lee did not notify Longstreet, who was forty-three miles away, and Stuart, who was even farther, to move to join him. It must also be remembered that this battle was a fight in the woods, thick underbrush in full foliage where men often couldn’t see fifty feet in front of them. So units couldn’t see where they were going until they bumped into an enemy force. Robert K. Krick examines one of the best known events of this battle in some detail. As Longstreet’s division arrived on the morning of May 6th Hill’s lines were collapsing, in part because he had failed to straighten and strengthen his lines during the night. There were few clearings in this area but Lee had tented by one at the Tapp farm where he aligned Pogue’s artillery. As Hill’s men retreated across the open fields and Longstreet’s troops came down the Orange Plank Road, Lee rode in behind Gregg’s Texans and the 3rd Arkansas. When some of the Texans noticed Lee’s presence, they stopped him from what they knew was certain death with their shouts of “Lee to the rear.” Much of this chapter is a thorough discussion of this incident. Carol Reardon takes us to the experience of a single Union brigade of Vermonters led by Brig. Gen. Lewis A. Grant. From the raising of the regiments to the marching into the Wilderness as part of Getty’s VI Corps, Grant has led this brigade well. Positioned on May 5th at the intersection of the Brock Road and the Orange Plank Road, this brigade would receive the brunt of Heth’s charges that day, and would pay dearly. With Hancock’s II Corps to their left, they advanced against Hill’s Corps on the morning of the 6th, forcing a retreat of all Confederates in their front. When Longstreet launched his flank attack against Hancock, the Union forces collapsed and the Vermont brigade returned to its trenches at the Brock Road. With 947 casualties in this battle, this brigade had one of the highest percentages of loss among the Union brigades. Robert E.L. Krick describes the final offensive thrust of this battle, Longstreet’s flank attack on May 6th. After Longstreet arrived and blunted Hancock’s morning assault, he looked for a way to launch his own attack. Information about an unfinished railroad cut just to his right gave him the perfect opportunity to send four brigades unnoticed to assault Hancock’s right flank. By late morning the units were in position and launched a successful attack that rolled up Hancock’s entire Corps. As Longstreet went forward on the Orange Plank Road to coordinate the completion of this assault, his entourage was fired upon by men of the 41st VA, leaving the general severely wounded and out of action for many months. Every chapter is well documented with extensive end notes, yet is very readable. The numerous maps help make the movements of the groups discussed in this book very understandable. 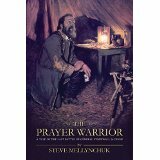 I would encourage the reader to include The Wilderness Campaign to his reading list for a better understanding of this period of 1864. Paul, this sounds very interesting and I shall look forward to reading it soon.